The following data is for Gold Prices in 1986. 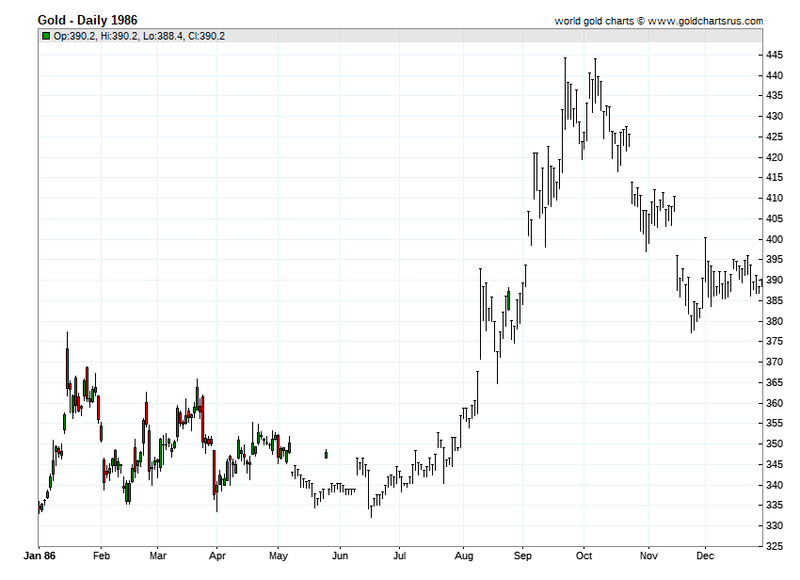 Additional Gold Price history and further current gold price charts can be found on our live Gold Price page. 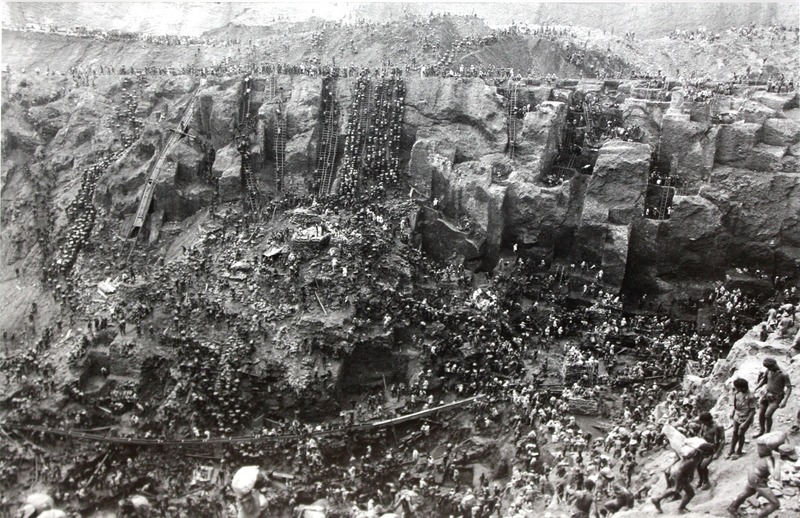 The following photo was taken in 1986 depicting endless numbers of Brazilian gold mine workers at Serra Pelada. The black and white photo series was taken from a distance and at an elevated vantage point by social documentary photographer Sebastiao Salgado. Because of the wide far scoping angle in which the photos were taken, the gold miners look like dots at the then largest and most dangerous Brazilian gold mine known as Serra Pelada.